At this point, I’ve read several good books about making soap. I have to put Anne L. Watson’s Smart Soapmaking and Milk Soapmaking at the top of the pile. Both of these books are practical, no-nonsense books that should get any beginner on way to making soap. Both books include several tried and tested recipes that are easy for beginners. Most soap-making books just include one basic recipe with variations. Those books can be nice, but they’re not very helpful for beginners who want to try different combinations of oils to see what will happen. Another extremely useful feature of Watson’s books are her myth-debunking sections. For instance, Watson shares that it isn’t necessary for your soap to reach trace before you pour it into your mold. I have been struggling with swirling for this very reason—I’ve been trying to get all my colors to trace. Another great myth she debunks is that the lye and oils have to be the same temperature before they mix. I had never tried too hard to make sure my oils were at 100° when my lye reached 100°, but so much I had read insisted this step was critical to the point of instructing soapers to have hot water and cool water baths to help reach equilibrium. My soap was turning out fine, so I couldn’t figure it out. I will say that it does seem to be easier to soap if the temperatures are close together, but it’s nonsense that they have to be exactly the same. Watson recommends a range of about 20°F, and that seems right to me. I purchased these books after eying them for some time mainly because I had been having so much trouble with my milk soaps. I made a goat milk bastile that has some lighter spots that look like oil (they are not lye spots), and I don’t know how it happened. I made another goat milk soap that turned into a huge mess. The last soap I made with cream appears to be getting DOS and went through a partial gel. I successfully made soap with cow milk, so I couldn’t figure out what I was doing wrong, and I decided perhaps these books could help me. Watson breaks down milk soap making into two major categories: the cool technique and the warm technique. The cool technique begins with frozen milk, while the warm technique begins with powdered milk. She includes milk-based recipes I had not even thought of, including yogurt, sour cream, and butter. After purchasing a digital thermometer I call my “temperature gun,” I have come to believe most of the milk soap issues I’m having are temperature-related. I think I’ve been soaping too hot. I have noticed that it seems to be taking longer than usual for my lye to reach 100°. In actuality, I think my thermometer hasn’t been accurate. I have been rigging it to the side of the lye bowl to keep it from falling in, and I think the temperature around the edges is cooler. As a result, I do believe I have been soaping too hot with the milk. I made two batches of soap using the temperature gun to keep an eye on the lye mixture, and both soaped up very nicely. Now that I’ve read Watson’s books and purchased this temperature gun, I feel ready to try milk again. I wish I had read Watson’s book before I read some of the others because I think I would have trusted myself more. Readers should be aware neither book includes photographs. I have come to believe that good photography is extremely important in a soap-making book, just as it is in a recipe book. Photographs are a baseline you can use to determine 1) whether the soap looks like something you want to make, and 2) how it should turn out. I think Watson’s books were published by a smaller press and may even have been self-published, and photography would probably have been cost-prohibitive. I missed the photographs, but unlike other books with bigger publishing budgets, I was willing to forgive their absence because the information was so clear and helpful. A side note: I wrote an email to Anne L. Watson asking a question about clean up. Every book I read says wait to clean up for about 24 hours, same as you would to unmold the soap. I didn’t wait the first couple of times because I hadn’t realized you needed to. Then I read that cleaning up right away could gunk up your plumbing, as the soap would saponifiy in your pipes and cause clogs. So I started waiting to clean up, and it was painful. I think perhaps waiting might be a good idea if you have a lot of left over soap, but I only make up what I will use, so I mainly just have a few globs on my soap-making bowl, spoon, and stick blender. And it was a beast to clean up the next day. I asked Watson if this was yet another myth or whether it was a good practice to wait to clean up. She wrote back and said she believes it is a myth. She recommends wiping off excess soap with paper towels and cleaning up with gloves and goggles still on. That makes a ton of sense to me. I am embarrassed not to have thought of it. She also recommends blue Dawn for clean up. So there you have it, friends. Another myth debunked. 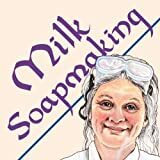 The Everything Soapmaking Book by Alicia Grosso is a good introduction to basic soapmaking. Unlike some other soapmaking books I’ve seen, this book also discusses hot process and hand-milling techniques. The chapters on essential oils and fragrance oils were interesting. Not too many other books I’ve read devote so much space to fragrance, and it’s an important reason why people buy soap. Even though essential oils and fragrance oils are expensive, I can’t imagine making soap without them. Also, Grosso dedicates useful space to chapters on packaging, gifting, and selling soap, which is extremely useful information (and probably my favorite part of the book). The book also includes helpful appendices: a glossary, troubleshooting, DIY molds, and resources. I think some of Grosso’s information may be out of date. I checked the copyright, which was 2003 and was renewed in 2007. I’m not sure what updates or changes were made for the 2007 edition, but Grosso makes a statement that it’s hard to sell soap online, and I’m sure it is hard if you have a stand-alone website and are slowly trying to build a business, but I think storefront sites like eBay and Etsy are changing that. I know eBay was around when the book was published, but Etsy wasn’t. Or at least it wasn’t large enough. Also, I think social networking in the form of sites like Twitter, Facebook, and especially Pinterest can make it easier to spread word of mouth about your soap. I have been sharing pictures of mine on Facebook and Instagram, and I have already have a few inquiries about purchasing it, and I’m not even ready to begin selling yet. I am not saying Grosso was wrong—I think she was probably right in 2003 or even 2007, but I think it’s a little easier to build a web-based business now than it might have been then. You have to be ready to do some serious social networking to move a large volume of soap, I’m sure, and good photography will be critical to your success, but I think perhaps the web is not the near lost cause she intimated it is. Another issue I have with the book is a lack of pictures. You can’t have a soap-making book without full color pictures of soap! It might be that I’ve just been spending too much time on Pinterest lately, but I am learning that visuals are so important in soaping. I have learned more from looking at pictures and video tutorials than I thought possible when I started making soap. Even an instructional book for beginners, like this one, should have good, high-quality pictures to inspire readers. That said, this book covers all the basics and is excellent for beginners. Highly recommended! Note: I borrowed this book via Amazon on my Kindle through the Amazon Prime program. 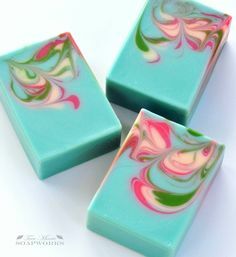 As I have been learning how to make soap, I’ve been on the lookout for helpful books with lots of beautiful pictures—not just for instructions, but also for inspiration. I have seen several reviews of Heidi Corley Barto’s new book The Natural Soap Chef. It’s a gorgeous book with lots of great tips for additives. For instance, Barto uses baby food instead of pureed fruit, which would be a great time-saver. She also explains exactly how to use liquids other than water (such as goat milk or tea). The recipes are mostly variations on the same four ingredients: olive oil, shea butter, coconut oil, and palm oil. Those ingredients are the staples of good soap. I think I might have enjoyed seeing a few different types of oils discussed, but it wasn’t a huge deal because of the large variety of ideas. 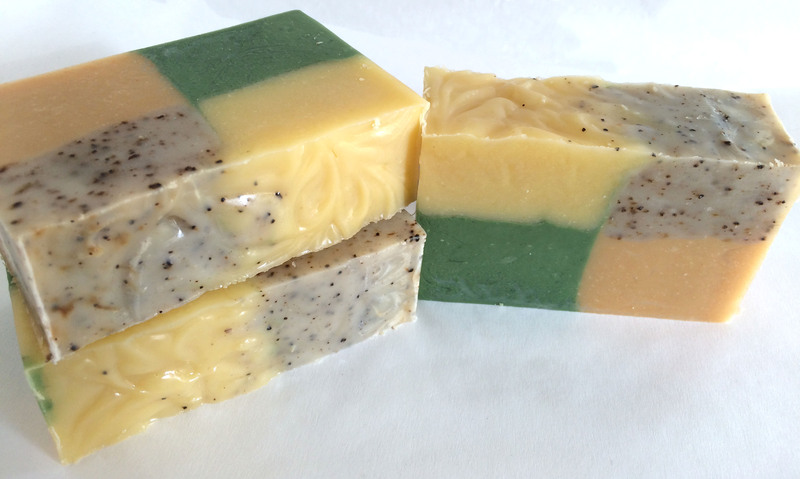 I liked thinking about how many ways I could use the same ingredients to make very different soaps. Also, I think it’s great for beginners to master a basic recipe and still have a chance to experiment within those confines. 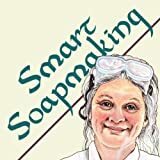 I had a quibble with Catherine Bardey’s Making Soaps and Scents because she also used the same basic three-oil recipe for almost all the soaps in her book, but frankly, I think what bothered me was that one of Bardey’s ingredients was shortening. I know it can be used in soap, but it just doesn’t seem right to me. I just don’t like the idea of using Crisco® in my soap! However, olive oil, shea butter, coconut oil, and palm oil—I can get behind. They may or may not be more natural than shortening. I honestly don’t know. But they seem more natural, and if I were buying handmade soap, I’d rather see them on the list of ingredients than shortening. I am confused about one thing. Barto recommends putting the soap into the refrigerator after you pour it, but everything else I’ve read seems to indicate soap needs to cool slowly, and that you should wrap it in towels to keep it warm until it sets a little. I guess I’m having some cognitive dissonance here, and now I’m not sure. My own experience with the first two batches is that wrapping them and keeping them warm works well for me, so I’m not sure I will follow that particular advice. 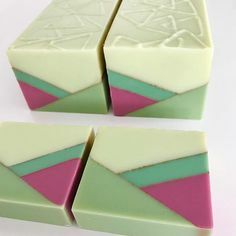 I suppose there are just many ways to make soap, but I admit I am curious as to why Barto does things so differently after the soap is in the mold. I love some of Barto’s ideas. I had already created my own lemongrass sage recipe, but hers looks good, and I plan to infuse half of my olive oil with sage just like she did, which was something I had not thought of doing (I’m making the lemongrass sage this weekend). Also, thanks to Barto, I now have a good chai tea soap recipe that looks easy (and I already have the chai teabags I need! score! ), and I love her idea for creating tissue paper tea bags to wrap those soaps in. Clever! 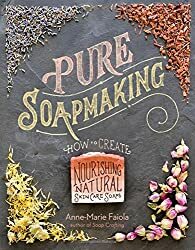 This is a great book, whether you’re a beginner like me or a more advanced soap maker looking for ideas. Christmas is taken care of this year!